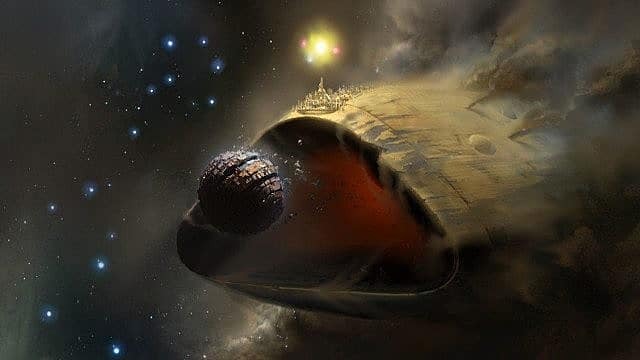 Destiny 2’s Leviathan Raid is a treasure trove of secrets and loot. 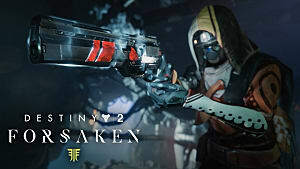 There are nine named chests spread across the Underbelly Labyrinth that contain Raid reputation tokens, Legendary Engrams, and also have a high chance of dropping Exotic Engrams. 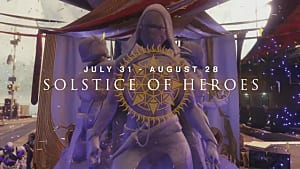 You can turn in the tokens for some Legendary Raid gear, whilst Exotics are a key factor in reaching the current maximum Power Level of 350 -- so you won’t want to miss out on the chance of getting some of this extra loot. It’s not enough to simply find each chest in this confusing area, however, as you’ll also need to have the corresponding keys. This guide will go through how to get those elusive chest keys such as the Drain Key, as well as where each chest is located. The Leviathan Raid chest keys are random drops that are awarded for completing each of the 3 encounters in the Raid, as well as the Raid Boss Calus. This means you can earn a total of 4 keys per character, per week for a total of 12 keys per week. 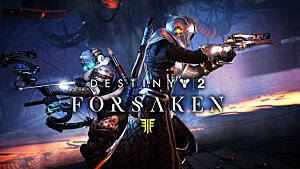 In order to follow this guide, it is recommended to complete the Raid first so you'll have free run of the Raid area. For a comprehensive guide on how to beat the Raid and all the encounters, check out our Leviathan Raid Walkthrough. It’s worth mentioning that the most effective way to quickly grab each chest is by teaming up with other Guardians -- because there are some tricky enemies standing between you and that sweet loot, which you'll need to take out. The first thing you need to do in order to gain access to the Underbelly is solve the lever puzzle. After loading into the Raid, run halfway across the bridge and drop down to the level below. Continue heading forwards into the room in front of you and you’ll find the lever room. There are 6 levers in this room, and for reference we’ll refer to them from left to right, as levers 1-6 -- the left-most lever being 1 and the right-most lever being 6. By finding the correct order in which to pull the levers, the way into the Underbelly of the ship will be open to you. The correct sequence for the levers is 1 5 3 2 4 6. To enter the Underbelly, head up to the top of the tower. At the back of that area you’ll see some pipes leading to a dark area. Pass through the darkness and make your way across the platforms. You’ll eventually come to a switch which will open a locked door. Through here is the engine room, which has the Engine chest locked behind a black and gold door. 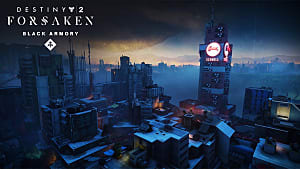 To open the door you’ll need to coordinate with your Fireteam to eliminate each of the Watcher sentries simultaneously, whilst attempting to remain unseen by their red gaze. If you’re spotted or you don’t kill them all at the same time, they’ll become invulnerable and the door will be locked. To reset the room, simply leave with you entire team, re-pull the lever and head back in. From the Engine chest, head down the length of the room and drop down to the area with the large fan blades. Head through a couple of these spinning fans and on your left and there is a platform that you can jump up to which is where the Ventilator chest is located. Jump back down and continue in the direction you were heading. At the end of the Ventilation room, there is a lever that will activate a fan that shoots you up a few levels. Once you’re at the top, go through the doorway on the left through the white-lit doorway and drop down the red-lit pipe, which brings you to another lever-controlled doorway. Through the doorway is a room with the same mechanics as the Engine room from earlier. Just simultaneously take out the Watchers without being detected and you’ll unlock a black and gold door which hides the Pipeline chest. Go back to the Pipeline doorway and there is a fan that you can jump into. Ride it up to the next floor and follow the grated walkway towards a lit room. Follow the corridor from that room and you’ll end up back where we rode the first fan up to earlier. This time take a right through the red-lit doorway. Take the first right and drop down the hole which will lead you to an area with purple sludge that you should recognize as the room before you face the Raid Boss, Calus. Head straight across from the pipe you emerged from and down to the end of the next pipe. Jump up to the platform to your left and keep going up until you reach the platform with the monitors. Keep moving forward along the platforms, avoiding the mist. Take a left, and follow the corridor around. You end up at the top of a fan shaft, which you should carefully drop down into. This is another Watcher room -- so you should know what to do. Take ‘em out, then grab the Conduit chest behind the door. Exit the Conduit room through the main entrance by back tracking from the chest. You’ll see a large metal grate wall with a light above it. Jump up on top of that and carefully make your way across to the other side of the room along the pipes. If you fall down, you’ll die. Once you’ve made it, drop down to find the Irrigation Chest. 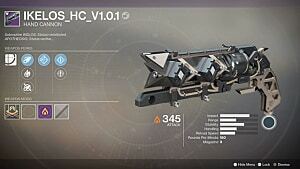 Now you need to backtrack all the way to the purple sludge room that leads into the Calus boss fight. After emerging into the room, head straight across into the pipe opposite you, which houses the deactivated fan shaft. Jump up three levels to the top and head through the doorway. Take a right and drop down onto the next fan, activate the lever and then ride it right back up to the very top. Head through the doorway, take another left, and then drop down into the red pipe which brings us back to Pipeline area from earlier. Jump back onto the fan and follow the grated walkway, hugging the left and entering a red-lit pipe. Follow the path until you need to crouch to continue and then take the first left. Continue forwards and drop down into the Drain chest room. Deal with the Watchers once again to unlock the security door and reveal the Drain chest. To make getting to this next chest a little easier, go ahead and reload back into the start of the raid. Now head up to where you first enter the Underbelly, jump across the platforms, and once again take the fan up. Head straight forward up the ramp and follow the path up to another door with a lever. Behind the door is -- you guessed it – another Watcher room. 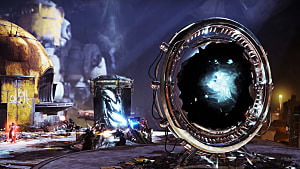 Eliminate the Watchers to unlock the black and gold door to the left of the entrance, and claim the loot from the Transfer chest. From the entrance of the Transfer room, head straight across the room and through the doorway overlooked by the gold and purple axe symbol. Crouch down and make your way through the tunnel, and take a left once you reach the end. Here you’ll find another lever, another doorway, and another room of Watchers for you to blow up. In the back right of the room you’ll find the usual locked door and in this case, the Armory chest. To find the last chest, head back through the small tunnel you just came from which leads you into the Transfer room. Immediately take a left and keep moving forward through the door beneath a red light. Jump up onto the platforms and then turn around and head forwards. On your right you’ll see a red-lit doorway -- follow the ramp up to a room with a blue glow, head through the door at the back of the room. Take a left turn and a right, then on your left is a raised platform. Hop up onto the platform and head to the back of the room to find the Aqueduct chest. Thanks to Arekkz for finding these! 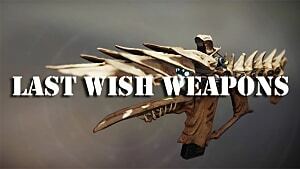 If you need more help finding the Raid chests, check out the video he made on his YouTube channel. 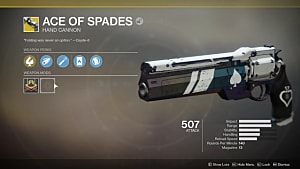 This is every Raid chest we know about right now but if you know of anymore, let us know in the comments section below. 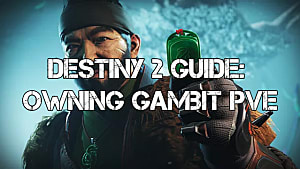 And for more on Destiny 2, check out our Destiny 2 Guides!